Bethesda Says Wii U Is "Not On Our Radar"
Bethesda Softworks Vice President Pete Hines says the company has no near-term plans to develop games for the Wii U. Bad news for anyone waiting with bated breath for the next Elder Scrolls or Dishonored title to appear on the Wii U: It's not going to happen. Bethesda's main man of marketing Pete Hines said at QuakeCon over the weekend that nothing the studio is currently cooking up is going to appear on Nintendo's latest but not-necessarily-greatest gaming console. 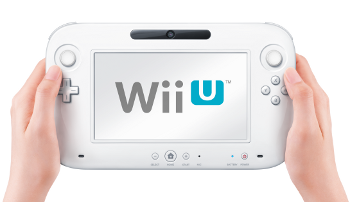 "None of the games we've announced are being developed for the Wii U, so it's guaranteed that none of those games are coming to Wii U," Hines told Joystiq. "Will any future ones come out? I can't say for sure, [but] in our near-term focus it's not on our radar." Hines said the Nintendo neglect is "largely a hardware thing," explaining that Bethesda develops games "that we want to make" for whatever platforms will support them. As an example, he cited The Elder Scrolls Online as a game that likely would have been developed for the Xbox 360 but that's only being released for PC and next-gen consoles because of "hardware limitations." It doesn't reflect particularly well on the Wii U, but I don't imagine it will have much impact on the console's fortunes. After all, I don't recall any previous "big name" Bethesda titles appearing on Nintendo platforms, and at this point it seems clear that the system is going to live or die on first-party releases anyway. Is anyone really disappointed that The Elder Scrolls VI: Valenwood (or, you know, whatever) isn't going to be playable with a Wii U GamePad?